Increase your manufacturing or warehousing capacity fast. Double your floor space without incurring moving, renovation or new construction costs. 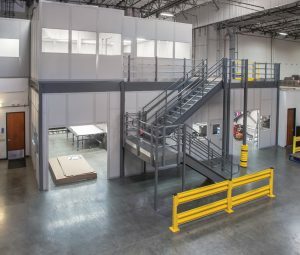 Increase your manufacturing capacity fast with a high-performance Power Machinery Center mezzanine. 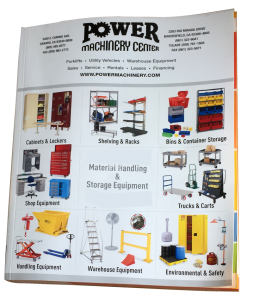 Whether you need a little or a lot more floor space, Power Machinery Center has the perfect mezzanine solution to fit your needs, your timing, and your budget. Our engineers will work closely with you to transform unused vertical space into a profitable storage area. Just send us your additional space requirements and we will return an AutoCAD drawing showing precisely how your mezzanine will be configured within the existing layout of your facility, matching its exact height, area and load requirements. Best of all, each mezzanine comes with a Lifetime Structural Warranty for your peace of mind. Increase storage for large, bulky items. Maximize distribution. Organize your small parts department. Take the checkered flag with Cogan mezzanines! We understand the unique storage and handling challenges that automobile dealers and distributors face every day. Thousands of valuable small parts and car components must be securely stored, organized and accounted for. Easy location and pick access is essential to maintain productivity. Double your storage capacity and increase efficiency with a Cogan mezzanine. We’ll make sure you finish in pole position. Custom-engineered mezzanines to revolutionize your workspace. Create a fully-integrated in-plant office above your production floor. Versatility is synonymous with our products and our mezzanines are no exception. In a busy warehouse setting, office space must often be sacrificed in favor of larger production and storage areas. Install a Cogan mezzanine and put an end to these limitations. 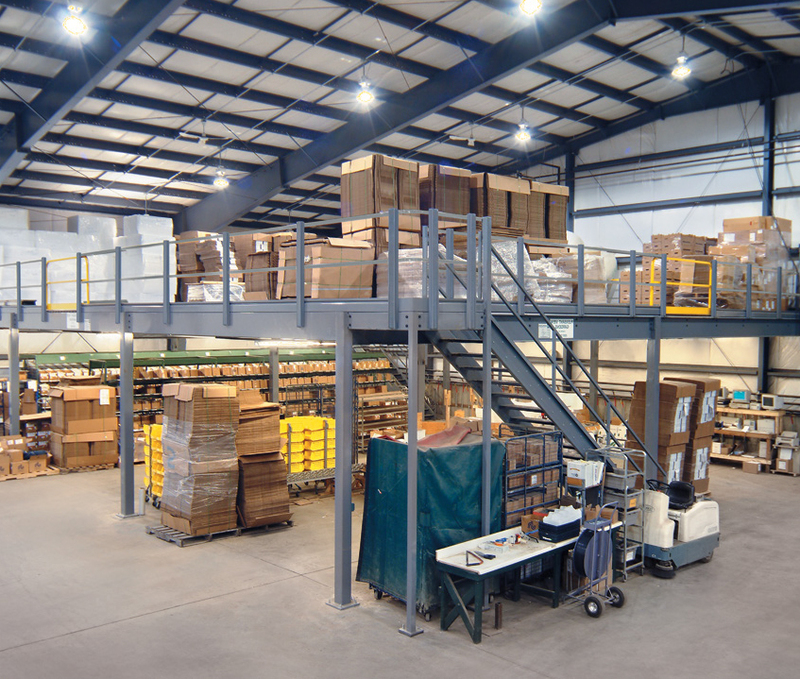 By creating a fully integrated in-plant office above your production floor, a mezzanine can effectively double the usuable space in your facility, leaving ample room for computer stations, filing cabinets and other office equipment. Just another way mezzanines make your space work for you. 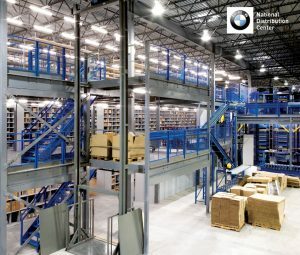 Maximize storage space, increase pick times and organize your warehouse like never before with a parts inventory mezzanine. Maintaining orderly and efficient operations in your parts department can be a daunting task. Thousands of small parts, hardware and miscellaneous items require significant storage space to ensure easy accessibility and accurate inventory control. 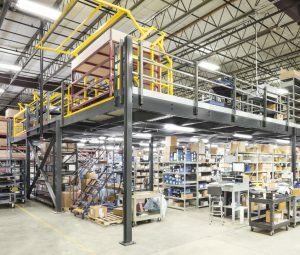 Install a Cogan mezzanine and create ample surface area for racking and shelving units, rolling carts and trolleys, computer stations and any other equipment needed to keep your parts department running smoothly. The addition of safety pivot gates guarantees a secure loading zone for increased worker safety.